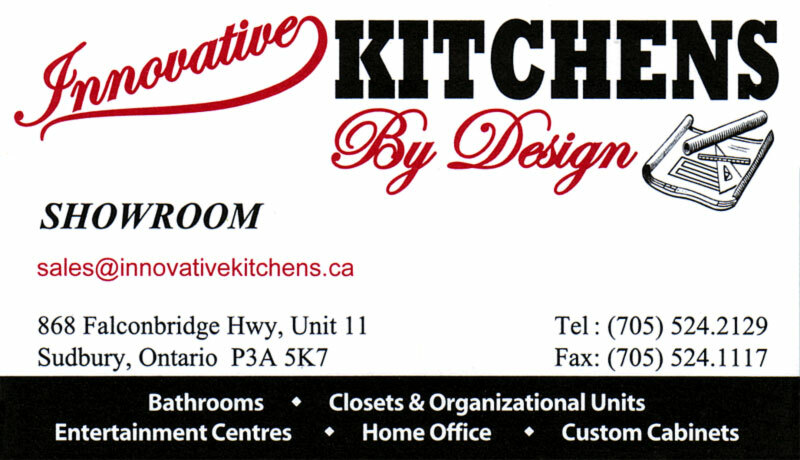 Innovative Kitchens by Design is the exclusive distributor of Aya Kitchens for the City of Greater Sudbury and vicinity. We also service other northern communities such as Killarney, Espanola, Manitoulin Island and more. From kitchen remodelling, bathrooms, entertainment centres and home office, we offer custom designs with only you in mind. We provide outstanding customer service, dedicated and experienced installers and suitable solutions for all of our customers’ budget and needs. AyA Kitchens and Baths is a state of the art manufacturer of high-quality, frameless cabinetry. By combining old world craftsmanship and attention to detail with high tech manufacturing processes AyA is able to offer innovative, quality cabinetry at competitive, manufacturer direct prices. AyA’s in-house design professionals work with clients ranging from individual homeowners to multi-national builders to create quality cabinetry solutions tailored to specific tastes and needs. AyA Kitchens is a leader in the industry with its Green Design initiative and Woodmark Quality Certification.